I have had the chance to play in a few tournaments recently with mixed results. However, one opening has really done well for me statistically in tournament play over the past year, and that is the Czech Benoni. Below, are two of my recent games in my favorite pet line. In the first one against Ralph Monda I managed to win a rook and knight v. rook and knight ending though did not have a chance to notate the second half of the game because it was a quick time control. However, in that game missed an early idea I should have seen with 11…Nh4! Threatening the family fork. If for instance 12.0-0-0 Nf3 13. Qc2 Nd4! when Black has a dominating position and will be able to play for b5 and a queenside attack. 27…Qxf4 is an oversight, as it loses an important pawn. It appears that White might trap black’s queen with 19.Rb3, but this was in fact precisely the move I was hoping for as it allowed 19…Bxa4! My opponent mentioned after the game that he had seen this trap and was happy to have avoided it. Better for Black was was 27…Ng6 when black would actually have an edge according to my engine- but in any case it would remain complicated with even material. This game was a bit more of a dog fight. Here I missed a computer like 17…Bxb2 18.Rb1 Bf5 when the b7 pawn is immune from capture- for instance if 19.Rxb7 f3+ 20.g3 Bxh3 21.Kxh3 Qc8+ picks up the rook. Instead I played a bit more simply, assuming that the middle game with opposite color bishops would favor the attacker, though actually the position was likely level-ish. I played 26…a5 when I realized that White really had very few useful moves, and plenty of ways to go wrong. 28.Qh1 looks like an interesting idea that will help White regain control of the g-file and simplify to a drawish ending, however, it was actually just the sort of mistake I was hoping for as it allowed the simple tactic Bxf2, after which Black’s attack is enveloping. 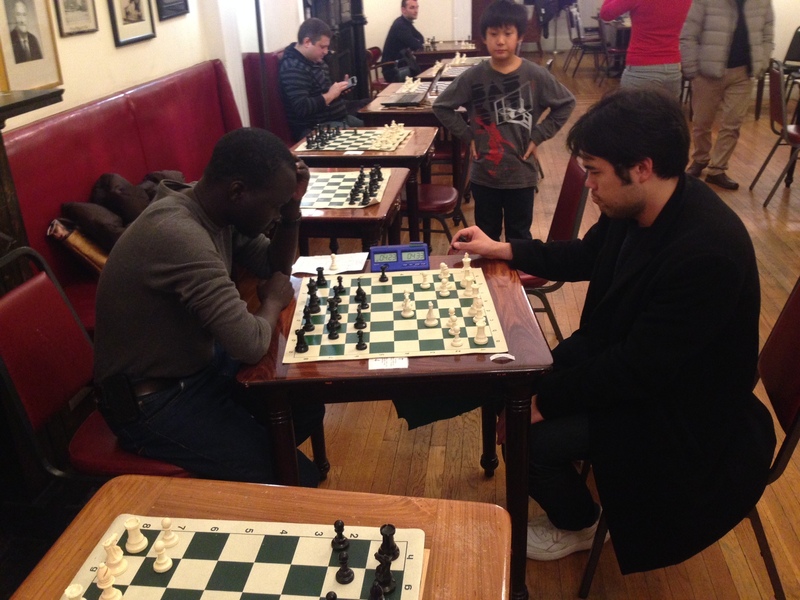 Last night at the Marshall Chess Club, Jablon decided to strike back using his favorite Ponziani with White in round 3 of the Marshall Chess Club U2000. Black was slightly better at a certain point, but erred with 11…Qg4 when white’s queenside pressure gains ground. 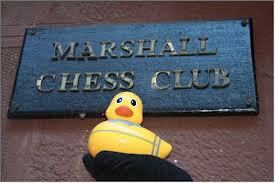 My compatriot Boris and I headed to the Marshall Chess Club this weds to sign up for the current u2000. If you’re keeping track of our race to 2000, his current live rating has leap-frogged my own reaching 1893. While I have taken a step backwards to 1828. In any case, below you will find our rather uneventful first round games. Stay tuned! The reclusive Nader Goubran has resurfaced after 10 years of not playing a single tournament to register in this event as well and he is determined to crush all of the “colossal fish” who are u2000. 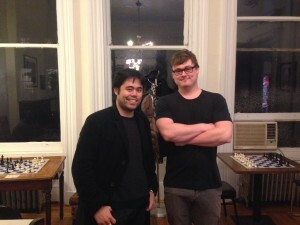 Nakamura @ The Marshall Chess Club! Luckily, Majur Juac was quick to break the ice by challenging him to a blitz game, after which I couldn’t help but ask for a photo. Here is one of our hometown hero’s recent victories against the evil Russians. Robert Byrne Memorial and Blitz Tournament Tonight! The first ever 3min.2s.inc blitz tournament in New York City history will be preceded by a reception for the late Robert Byrne. I have inside information that several cases of wine have also been purchased for the event, as well as some delicious amuse-gueules that will be served during the reception. Tournament starts at 7:30 p.m.
USCF and FIDE rated. 9-SS, G/3;+2sec. increment. 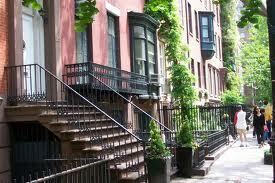 Marshall CC, 23 W. 10th St., NYC. 212-477-3716. $$G 2,000: $600-400-200-100, top U2400/unr, U2200, U2000, U1800: $100 each, Best Senior born in or before 1953: $100-50, Best Junior born in or after 1999: $100-50. EF: $30, members $20. Highest of USCF Blitz/quick/regular/Fide ratings used for pairings & prizes. Reg. ends 6:45 pm. Rds. : 7:30-7:50-8:10-8:40-9-9:20-9:40-10-10:20 pm. Three byes available, request at entry. 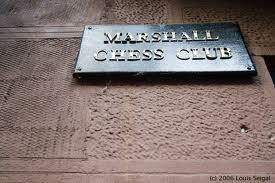 www.marshallchessclub.org. This tournament has been made possible through the generosity of Mrs. Maria Byrne. Robert Eugene Byrne (April 20, 1928 – April 12, 2013) was an American chess Grandmaster and chess author. He won the U.S. Championship in 1972, and was a World Chess Championship Candidate in 1974. Byrne represented the United States nine times in Chess Olympiads from 1952 to 1976 and won seven medals. He was the chess columnist from 1972 to 2006 for the New York Times, which ran his final column (a recounting of his 1952 victory over David Bronstein) on November 12, 2006. Byrne worked as a university professor for many years, before becoming a chess professional in the early 1970s. Byrne and his younger brother Donald grew up in New York City and were among the “Collins Kids”, promising young players who benefited from the instruction and encouragement of John W. Collins. Both ultimately became college professors and among the leading chess players in the country. They were part of a talented new generation of young American masters, which also included Larry Evans, Arthur Bisguier, and George Kramer. Robert Byrne’s first Master event was Ventnor City 1945, where he scored a respectable 4/9 to place 8th; the winner was Weaver Adams. He tied 1st–2nd in the Premier Reserves section at the U.S. Open Chess Championship, Pittsburgh 1946. College studies limited his opportunities for the next several years; he represented the U.S. in a 1950 radio match against Yugoslavia. In the Maurice Wertheim Memorial, New York 1951, Robert Byrne scored 6/11 for a tied 6–7th place; this was a Grandmaster round-robin with 6 of the world’s top 36 players, and it was won by Samuel Reshevsky. Byrne became an International Master based on his results at the 1952 Chess Olympiad at Helsinki (bronze medal on third board). In that same year he graduated from Yale University. He went on to become a professor of philosophy at Indiana University, and his academic career left him little time for chess. He did represent the U.S. in team matches against the Soviet Union at New York 1954 (losing 1½–2½ to Alexander Kotov), and Moscow 1955 (losing ½–3½ to Paul Keres). Byrne placed shared 4–7th at the 1957 U.S. Open Chess Championship in Cleveland with 9/12, a point behind joint winners Bobby Fischer and Arthur Bisguier. Byrne did not play in his first U.S. Chess Championship until age 30 in 1958–59, placing tied 9–10th with 4/11; the winner was Bobby Fischer. But Byrne improved dramatically the next year in the same event to place 2nd with 8/11, ahead of Reshevsky and Pal Benko, as Fischer won again. In 1960, Byrne increased his serious play, winning the U.S. Open Chess Championship at St. Louis, and taking a silver medal on third board at the Olympiad in Leipzig. A poor result of 8–11th places in the U.S. Championship 1960–61, with only 4½/11, was balanced by his fine tied 2nd–5th places at Mar del Plata 1961 with 11½/15, behind winner Miguel Najdorf. On that same South American trip, he dominated a small but strong event at Santa Fe with 6½/7, ahead of Miroslav Filip, Aleksandar Matanović, and Hector Rossetto. In the U.S. Championship of 1961–62, he tied for 2nd–3rd places on 7/11, half a point behind Larry Evans. He placed 6th in the U.S. Championship 1962–63 with 6/11, as Fischer won again. He again placed 6th in the U.S. Championship 1963–64 with 5½/11, as Fischer won with a perfect score. In 1964, Byrne’s third-place finish at the Buenos Aires tournament (behind Paul Keres and World Champion Tigran Petrosian), with 11½/17, made him an International Grandmaster. Byrne shared 2nd–3rd places in the U.S. Championship 1965–66 with 7½/11; Fischer won again, but Byrne defeated Fischer in their individual game. He shared the 1966 U.S. Open title with Pal Benko at Seattle. He scored 4½/11 for a shared 8–10th place, in the U.S. Championship 1966–67, with Fischer winning. Byrne qualified for his first Interzonal tournament, Sousse 1967, but scored just 7½/22, far short of advancing. 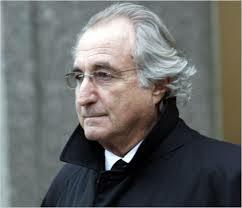 By the late 1960s, he was playing chess semi-professionally. 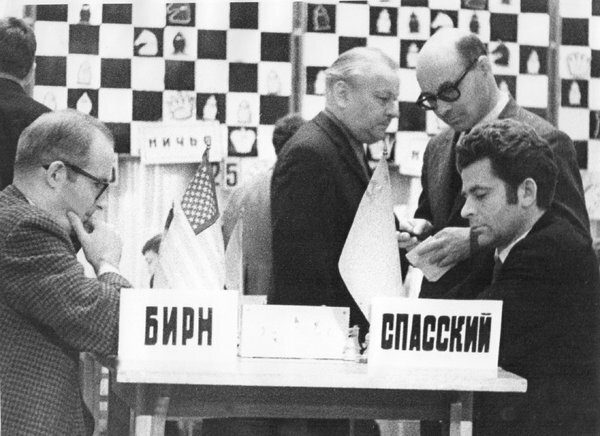 He won the 1972 U.S. Championship; after tying with Samuel Reshevsky and Lubomir Kavalek in the tournament proper, Byrne won the 1973 playoff at Chicago. 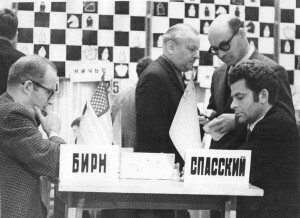 Byrne achieved his career highlight of third place at the Leningrad Interzonal in 1973, with 12½/17, which made him only the fourth American (after Samuel Reshevsky, Bobby Fischer, and Pál Benkő) to qualify for the Candidates Tournament (part of the world chess championship process). Byrne lost his first-round Candidates’ match to former world champion Boris Spassky by 1½–4½ at San Juan, Puerto Rico 1974. As a 1974 Candidate, Byrne was seeded directly to the 1976 Biel Interzonal, where he performed very strongly, but missed a playoff berth by only half a point, sharing 5–6th places with 11½/17. Genkin Crushing Zilbermintz: The Philidor Gambit Refuted? I missed some easy tactics in the opening (pointed out by IM Danny Kopec in a brief post-mortem), but all in all, I am satisfied. In fact, during the game I caught myself thinking that I absolutely wouldn’t mind losing it just for the sheer fun of seeing Zilbermintz sweat, speak in tongues etc… He played most of the game very fast, but at some point (I believe, after 23. Kf2) he retreated to the bathroom for about 20 minutes. Simon helped me tremendously with opening preparation: He sent me the guidelines for refuting the Philidor Gambit that Zilbermintz and James West play. Basically, the opening went along his analysis with only slight deviations. I can only regret that I was unable to find 11. Ngxe4 and win the game in Simon’s style. In Jesus de la villa’s endgame book, he gives a simple and straightforward approach to mastering the bishop and knight checkmate. But before getting down to the knitty gritty of the method, he gives a bit of stump speech about the importance of learning a method for this ending in the first place. Despite the fact that it occurs rarely in actual over the board play -because often players with an advantage will intentionally avoid entering this ending- Jesus tells us that we need to learn it anyway. While this “because I said so” explanation may not be the most motivating reason to learn a difficult ending, the embarrassment of reaching this ending and only drawing should be. Alex King recently escaped certain defeat in a game at the Marshall Chess Club by racing his king to the wrong corner and simply moving his king back and forth for 50 moves while his opponent struggled. In order avoid the same fate, check out this youtube video that describes the proper technique. The most important thing to remember is that you must drive the king towards the correct corner: the corner that is the same color as your bishop. Whether you master the “Triangle method” or the “W” method, it’s important to sit down at some point in your career as a chess player and get the basics for this ending down cold. So you might as well take a few minutes and watch this now! 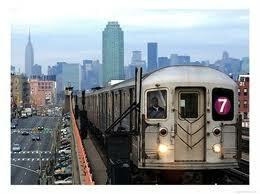 I must apologize for the radio silence lately, however, things have not been entirely quiet here at BK64. 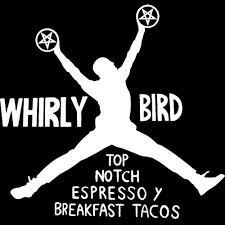 First of all, we have secured an ongoing relationship with our fav taco spot whirlybird where we have been holding rated tournaments- to sign up for the next one shoot us an email at contact[at]brooklyn64.com. On the other end of the spectrum, we have also partnered with our favorite scotch bar ISLE OF SKYE for a blitz event every thursday from 6pm-10pm. For those of you who recall the old greenpoint chess and go club of matchless fame, many of the same friendly faces have been showing up at isle of skye to do battle over the board while sipping single malts (Bowmore doras mor anyone?). Izrayelit Chalks Up a Victory in the U2000. Despite missing the the quick win of a crucial pawn with 5.Nxe6!, Boris managed to convincingly wrap up his opponent last week in the Weds. U2000 event. Standings can be seen here. 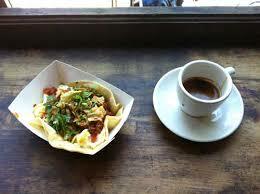 4 Round, G/45 tournament beginning a little after 6pm at Whirlybird, 254 S 2nd St Brooklyn, NY 11211. The gate will be pulled down so the event will be private- it is BYOB and Cameron Hull will be pulling espresso between rounds. Whether those drinks are included in the entry fee or not is still a matter of negotiation with the restaurant owner- but even if you come empty handed there will definitely be free beer to soothe the pain of losing to me. In order to reserve your spot in advance- hand me a $20 the next time you see me- or if you live in the 21st century you can paypal me $20. If you intend to show up get me $20 asap to reserve your spot as we are capping this badass event at 8 people. *NOTE* THE ENTRY FEE WILL BE USED TO PAY THE RENT- SO IT IS NON-REFUNDABLE. So once again I decided to play a little chess this Wednesday evening despite an insane work schedule of back to back 18 hour days on Monday and Tuesday at both of my jobs, though I managed to win a messy game despite the fatigue. 12.0-0-0 is the kind of move I should have seen as White would then have a comfortable advantage, though the idea didn’t even occur to me. My opponent was a deceptively tricky little girl, and when she played the creative sacrifice 15…Nxa2!? I sank into deep thought for about 15 minutes before deciding not to take the knight. My engine suggests first playing 16.Nh4 (which I did) and then taking the knight (which I didn’t,) when White would reach an ending up a piece but facing two connected outside passers- no thank you. Instead, I was able to activate my rooks on the queenside and with the help of one or two inaccuracies on my opponent’s part I quickly won once we reached an ending. 5-SS, 30/85 d5, SD/1 d5. 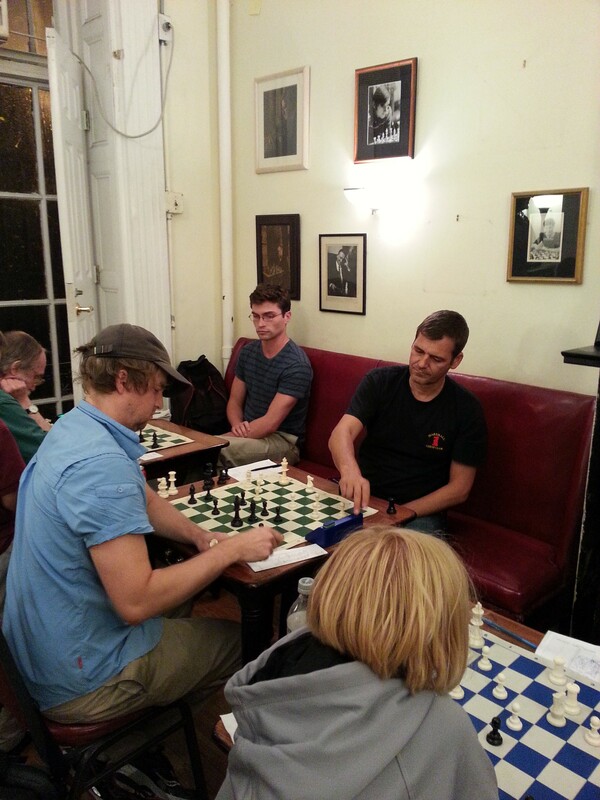 Marshall Chess Club CC, 23 W. 10th St., NYC. 212-477-3716. EF: $50, members $30. ($450/24): $240-120, U1700 $90. Reg. : 6:15-6:45. Rds. 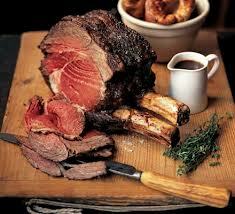 : 7 pm each Wed. Limit two byes, request by Rd 3. Today I had the pleasure of playing a filler game that I managed to win rather quickly. I usually don’t play filler games, but I was in a particularly good mood and thought I might as well play for a change. The game was an open ruy lopez, but my opponent played 7…Bd6? instead of the book move 7…d5. This early error allowed me to set up a quick smothered mate with an attack on the f7 square. BIRD RIVER STUDIOS SCHOLASTIC TOURNEY! (u14yrs), Sunday September 8, 10am. The popular “Roasting Jermaine” series is back! I promised Jermaine I wouldn’t post the following miniature on this blog, but little did he know I was crossing my fingers! Not sure what to say here- after the inexplicable 10…Kh8, black is already in rough shape!